People from 140 countries have visited Bob Links. Internet presale is sold out. Click here to purchase tickets from TicketWeb. Public sale tickets will go on sale through Ticketmaster on Monday, June 10th at 10:00 AM. Tickets will go on sale through the box office on Saturday, May 25 at 10:00 AM. Tickets will go on sale on Monday, May 13 at 12 noon through Admission Ticket outlets. Tickets will go on sale through Ticketmaster on Friday, June 28th at 9:00 AM. Tickets will go on sale through Ticketmaster on Saturday, June 1st at 12 noon. Tickets will go on sale through Ticketmaster on Saturday, June 8th at 10 AM. Address: 1201 West Ave. N.
Tickets will go on sale through Ticketmaster on Saturday May 18 at noon. Click here to purchase tickets online from Ticketmaster. Address: 1515 15th Ave. N.
Tickets will go on sale through Ticketmaster on Saturday May 18 at 11:00 AM. Tickets will go on sale through Tickets.com on Monday, May 27 at 9:30 AM. Tickets will go on sale through Select A Seat on Monday, May 27 at 10:00 AM. Tickets will also available by phone from Smith'sTIX. Tickets will go on sale through Ticketmaster on Friday, August 9 at 10:00 AM. The internet presale has been cancelled. Click here to order tickets online from Tickmaster.com. Tickets will go on sale through Ticketmaster on Friday, August 9 at 9:00 AM. Tickets will go on sale through Ticketmaster on Saturday, September 14 at 10:00 AM. Tickets will go on sale through Tickets.com on Saturday, August 10 at 10:00 AM. Tickets will go on sale through Tickets.com on Saturday, September 7 at 10:00 AM. Tickets will go on sale through Ticketmaster on Sunday, August 11 at 10:00 AM. 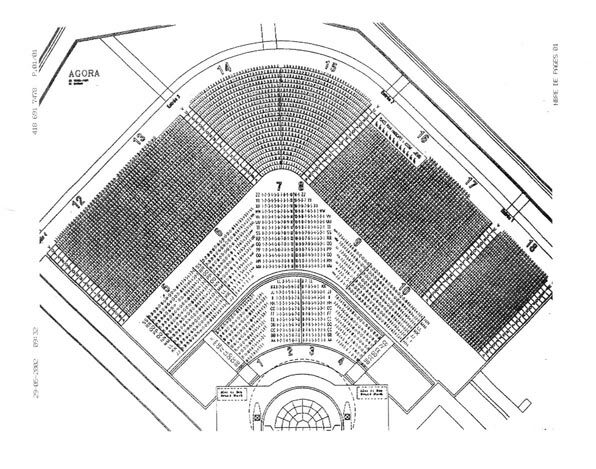 General admission on floor and reserved seating in balcony. Ticket prices: $75.00 GA on the floor and $75.00 & $125.00 reserved in the balcony. Tickets will go on sale through Ticketmaster on Saturday, August 10 at noon. Address: 1826 N. McDowell Rd. Tickets will go on sale through Ticketmaster on Saturday, September 7 at 10:00 AM. Tickets will go on sale through Ticketmaster on Saturday, October 19 at 10:00 AM. Tickets will go on sale through Ticketmaster on Saturday, September 21 at 10:00 PM. Tickets will go on sale through Ticketmaster on Monday, September 9 at 10:00 AM. There will be a 6 ticket limit per person. Address: 6920 North Mannheim Rd. for WXRT VIP members only. Tickets will go on sale through Ticketmaster on Saturday, September 21 at 10:00 AM. Address: 333 E. Stadium Blvd. Tickets will go on sale on through Ticketmaster on Saturday, September 28 at 10:00 AM. Tickets will go on sale through Ticketmaster on Saturday, September 28 at 10:00 AM. Tickets will go on sale through Ticketmaster on Monday, September 9 at 9:00 AM. Address: 3601 S. Broad St.
Tickets will go on sale through Ticketmaster on Friday, September 20 at 10:00 AM. Tickets will go on sale through Tickets.com on Saturday, September 21 at 10:00 AM. Tickets will go on sale through the box office on Friday, October 11 at 9:00 AM. Tickets can be purchased by phone through the box office number. The show sold out in less than an hour. 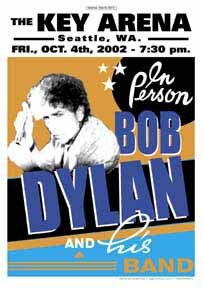 Bob announced at the November 13 MSG show that he will not be appearing at the London show.